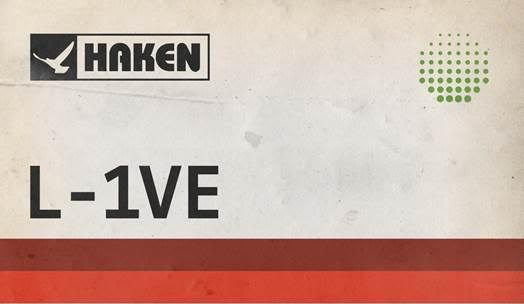 Set to be arriving this year, Haken will unveil their first ever live album come June 22nd via Inside Out. The band have been touring the world following their absolutely brilliant 80’s themed Prog journey that was 2016’s Affinity, however following that, the band honoured their past with a ten year anniversary tour. Filmed on April 13th in the Netherlands at the Melkweg venue in Amsterdam, the band will now be able to release this footage to world so that we can all celebrate in our front room with them! Continuing from the 80’s theme on Affinity the band once again partnered with Blacklake for the album cover and has been mixed by Neal Morse and Jerry Guidroz, two names you would want behind you! The band have also begun teasing the writing for their as yet untitled new album. Excited? I certainly am! You can preorder a copy of the live album right here!